Amidst the controversy surrounding Electronic Voting Machines (EVMs), the Election Commission of India on Sunday made it clear that EVMs are fully tamper-proof as ever. The EVMs have been suddenly made villain of the recent Assembly election by several parties. Amidst the controversy surrounding Electronic Voting Machines (EVMs), the Election Commission of India on Sunday made it clear that EVMs are fully tamper-proof as ever. The EVMs have been suddenly made villain of the recent Assembly election by several parties. Many parties had labelled allegations against the EVMs that it was tampered during polls. 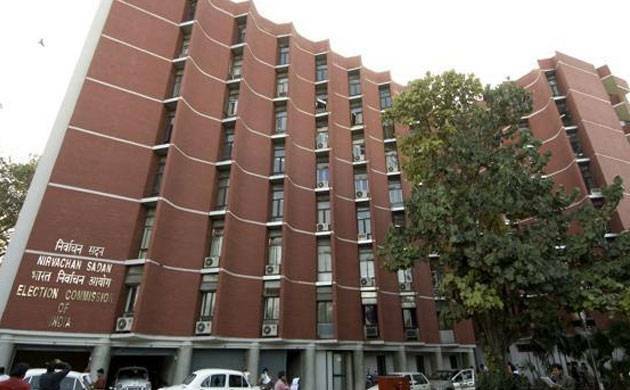 The independent Election Commission of India (ECI) says “it completely reaffirms its faith in the infallibility of the EVMs these are fully tamper-proof as ever”. It adds “baseless, speculative and wild allegations are being made which deserve to be rejected”. The voting data is recorded on a simple imported chip which has a small and simple software that is burnt directly onto the chip itself and each vote as it is cast is recorded directly on the chip. According to Rajat Moona, former Director General Center for the Development of Advanced Computing, Pune and currently Director of Indian Institute of Technology, Bhilai who is part of the Technical Expert Committee of the ECI that critically evaluates the EVMs says the secure micro controllers or chips are purchased from large commercial manufacturers like Motorola, Renaissance and NXP who also supply chips to missile manufacturers and all kinds of secure computing device manufacturers. Even the final placement of the list of candidates on the balloting unit is not known till the last day of withdrawal of nomination before elections, so tampering with machines is virtually an impossible task. The candidate names are placed in an alphabetical order giving it even more variability. Election Commission of India explains “EVMs are randomised by computer software twice. Once for allocation of machines to assembly constituencies and second to polling stations in the presence of candidates”, this means no one really knows which machine would go to what location and hence pre-programming can be ruled out as a way of tampering. An electronics engineer from the USA once suggested that he could tamper with the machines using a specially designed bluetooth enabled display unit, but in several open public demonstrations at the office of the ECI no one has been able to hack the EVMs. On counting day the machines are removed from the strong room where they are kept under twenty four hour armed guard and the votes polled are displayed sequentially in the presence of the observers of candidates. A new unit called a ‘totalizer’ was proposed to keep the anonymity and secrecy of votes intact. The counting is rapid and within hours the fate of who wins the elections is known, whereas in times when a paper ballot was used it would takes days and weeks for the election results to be finally declared. The first EVM’s were used in the southern Indian state of Kerala in 1982 and since then the general elections of 2004, 2009 and 2014 have witnessed one hundred percent electronic voting. According to the ECI “the EVM’s reduce the time in both casting a vote and declaring the results compared to the old paper ballot system. Bogus voting & booth capturing can greatly reduceto almost nil illiterate people find EVM’s easier to use’. Individual machines are not connected to networks this ensures that hackers don’t take control of machines since if a nefarious mind were to tamper then each unit of the over one million machines will have to be individually fixed, a Herculean task indeed! The last time paper ballot was used in a parliamentary election it required some 7-8,000 tons of paper just to print the ballots which is the equivalent of cutting down some 120,000 full grown trees so in a way the EVMs are greener and can be used repeatedly. “Indian machines are tamper proof and no one has been able to actually demonstrate that the EVMs could be manipulated” asserts Nadim Zaidi, Chief Election Commissioner of India, New Delhi.